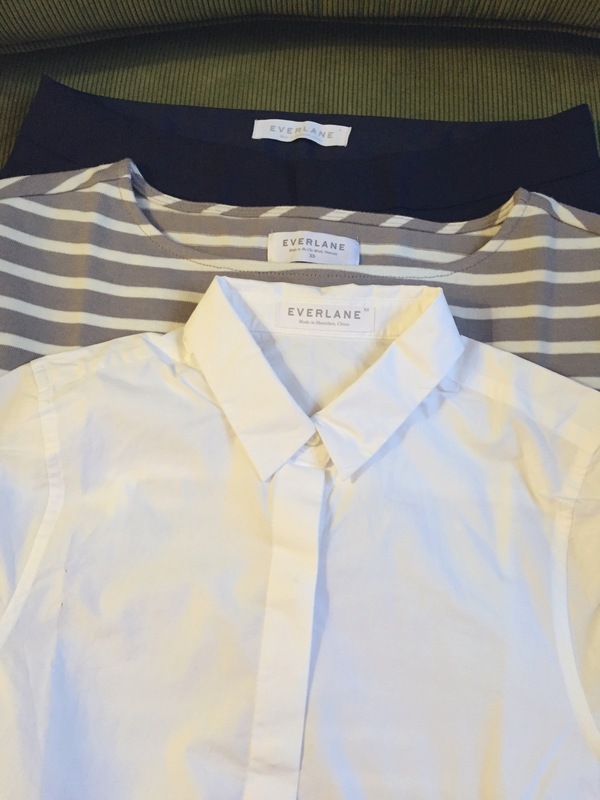 I don’t know if you ever heard of Everlane? It is an American clothing company founded in 2010, famous for their timeless designs and their radical transparency concept. I always prefer to wear something which is simple but timeless, chic, yet with good quality fabrics, clothes that you feel comfortable in and make you feel like yourself. And I think Everlane meets all my expectations for daily go-to clothes, and on top of that, Everlane is also affordable. in November, Everlane offered their first International shipping, so I seized the opportunity and placed my first order. I have been paying attention to the collections for quite a while, but living in Europe doesn’t make the shopping easier as they didn’t provide worldwide shipping. I placed my order on the 19th of November, the order was already shipped on the 20th. It took quite a while for customs to declare VAT at the border, but once it was out for delivery I received it pretty fast. I received it on the 10th of December, so in total it was 14 working days. I had to pay duties and taxes over the package because it is from the US. Customer support at Everlane was also great, I had questions about the sizing and tracking info they always get back to me within 24-48 hours and with a clear answer. So, the package was delivered in this sturdy, cool brown paper bag which I loved. There was no packaging around the clothes, also no price tags. 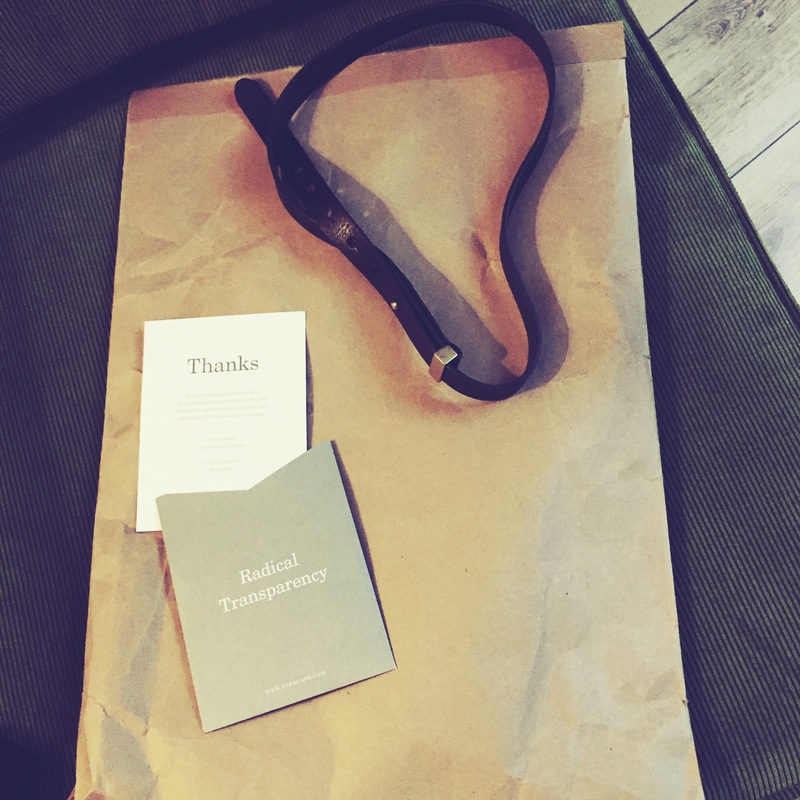 A small envelop with the invoice and thank you card comes with the package. The items I bought were just like how the website described them, sizing was also spot-on. The details were absolutely perfect as well. I am 168 cm tall and weigh about 50kg. So I normally wear size XS/34 for tops with most of the brands, and size 25 for most of the jeans as well. The sizing of each item on the website is very detailed, so you can either measure them yourselves or you can contact the customer support team for advice if you are in doubt. Overall, I am very happy with the purchase and surely will do it again if there is another week of International shipping offered. Although the duties and tax were a bit of surprise for me as the amount was quite high, it still is worth it. However, I like the quality and timeless items they supply to their customers. On top of that, I appreciate their honest way of doing business, you may say it’s their way of marketing but hey I choose to trust them and appreciate what they are doing. Hope you like this post and until next time.